With a balanced sound signature and clear distortion-free audio, the Shots X5 CHARGE earbuds are great for all day listening without fatigue. The flat sound profile makes them enjoyable no matter what genre of music you prefer. Shots X5 CHARGE earbuds have up to 5 hours of battery life. top up your phone battery. Next-gen wireless technology enables lag-free audio with a range of up to 10 metres. Enjoy longer battery life, plus faster pairing and more stable connections with all your devices. Get caught in the rain or worked up a sweat during your workout? There’s no problem because your Shots X5 Charge earbuds are rated waterproof up to IPX5 standards. assistant with just a tap on your earbuds. With controls on both earbuds, you can play, pause, skip tracks and even answer or reject calls. All without ever having to take your phone out of your pocket or bag. Each Noise product goes through multiple quality checks to ensure that you are completely happy with it. In case you have any issues though, please get in touch with Noise customer service and we’ll help you sort them out. With a one year limited warranty against manufacturing defects, we’ve got you covered so you have nothing to worry about. Shots X5 CHARGE earbuds have up to 5 hours of battery life. The including Charging Case can recharge your earbuds up to 10 times. Phone running low on charge? Simply plug it into the USB port on the Shots X5 CHARGE case and top up your phone battery. Shots X5 Charge earbuds are ergonomically designed to fit comfortably in your ears and stay secure even with the most active lifestyles. Included soft silicone ear-tips in 3 sizes allow you to customise your earbuds for the best fit. Whether you’re on Android or iOS, get instant access to your voice assistant with just a tap on your earbuds. With controls on both earbuds, you can play, pause, skip tracks and even answer or reject calls. All without every having to take your phone out of your pocket or bag. 1. I have been listening to songs / watching movies for over 3 hours (have not tried any more). The power bank has an additional battery, hence I have never run of power. 2. It can connect to two mobile devices at the same time. I am using two Iphones and the it works like charm. 3. I have connected these with Amazon Firestick and watching videos/movies without any hassles. However, my firestick remote doesn't have the volume button, hence cannot control the volume on the headsets!! 4. Have not tried it in rain, hence cannot comment on its waterproof properties. 5. I have also used it in single pairing mode, so either of the Left or Right device can simultaneously connect to two mobile devices at the same time. 6. These are very comfortable if you choose the right ear extensions. They do not fall of easily while walking/running. 7. Outside noise reduction is good. Overall a decent product at this price range. Highly recommended." "Best headphones in this price." "Previously I have tried many Bluetooth headset with lower cost but they were not durable in the long run. Later I realise they are charging for the software they put in these headsets because the problem I find with the other company Bluetooth headset that it will unpair or disconnect while during a call or mismatch the latency between two headphones. So far I did not find any problem regarding it's software or hardware both where good. Regarding the sound quality it has a medium bass and matching treble and overall sound quality is good." "Thank you Noise for such a lovely product. Sound is crisp and brilliant. Also thank you for the Diwali gift a "Beanie". Build quality is too good. A pretty good upgradation from the basic shots. Overall 9.5/10"
"Very good quality earphones. Reviewing after 1 week of usage. SOUND QUALITY : The sound quality is very crisp. The highs and lows are nicely balanced. Overall pretty good at this price. The sound is loud enough as well. I personally, barely go above 50-60%. The sound also depends on whether your phone has Qualcomm aptX or Sony LDAC. The latter being better. Using a Bluetooth 5.0 capable phone (Moto X4) with aptX , I just loved the music. Although the sound leaks at very high volume and other people know what you're listening to. BATTERY LIFE : The battery life is good. It gives almost 4.5-5 hrs of backup at 50-60% volume. This is pretty good considering we have a charging case that can charge the buds 12-15 times. BASS : The bass is pretty good even at half the volume. The sound doesn't crack even at high volumes. Well this also depends on the audio codec used by your phone. The earbud supports both aptX & LDAC. BLUETOOTH : The Bluetooth 5.0 has a very good range when used with Bluetooth 5.0 capable phones. I use it with my Moto X4 and it's awesome." "An honest review after extensive usage"
Sound (quality & clarity) connectivity ear placement just perfect however battery life additional volume keys & competitive pricing improvement could be done..."
"Extremely good product giving high definition sound quality. I have a great time listening to music in it and also it never moves out of it's place even during intense workout sessions. It really stands bold for what it is made and that is the extra bass.The battery life is pretty amazing and has one of the leading noise cancellation technology in the industry." How to connect Noise Shots X5? Can Shots X5 CHARGE connect to laptop/ computer? Yes, as long as you have the provision for Bluetooth connectivity in your laptop or computer, you can connect Shots X5 CHARGE to it. Does Shots X5 CHARGE announce caller name or number on incoming calls? What is the battery backup of Shots X5 CHARGE? The battery up of earbuds is up to 4 hours and backed with battery case of 2200mAh, it provides the play time of up to 10 hours. What is the sensitivity and hz range of Shots X5 CHARGE? How is the calling in Shots X5 CHARGE? The call quality in Shots X5 CHARGE is good as long as the network is good and there is no disturbances in the surroundings. Can I use it as a single bud of Shots X5 CHARGE while listening to music? Yes, you can. Simply switch on and pair one Shots X5 CHARGE earbuds to your smartphone to listen to music.  Can you get me the Green or Fluorescent Color for Shots X5 CHARGE? No, Shots X5 CHARGE is available in Black color only. Is noise cancellation available in Shots X5 CHARGE? The Shots X5 CHARGE'S charging case works as a charging portal and earbuds son the go. They also function as the storage for earbuds. How much time does Shots X5 CHARGE take to charge? Shots X5 CHARGE take about 3.5 hours to fully charge. Is Shots X5 CHARGE available as single bud because my one bud was missing? Simply switch on the earbuds. Yes, there is 1 year manufacturing warranty from the date of delivery of the product. Hey, Can anyone please tell me whether there earpods are compatible with Iphone 6, 6s and 7? Yes, the Shots X5 CHARGE are compatible with iPhone 6, 6s and 7. Yes, you can use the press earbuds to change the tracks. Shots X5 CHARGE has a strong bass playback and supports low bass frequency. Only one bud is working for Shots X5 CHARGE? Does Shots X5 CHARGE support Siri? Yes, Shots X5 CHARGE supports Siri. Does the music play in both the ear buds or just one? And while calling does it play in both ear shots? 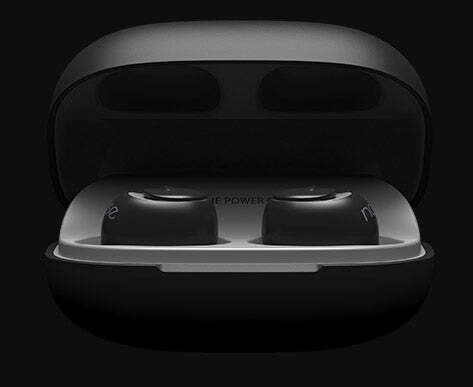 Shots X5 CHARGE supports Stereo mode during music and calls which means during the calls and playing music you will hear the sound in both the earbuds. Does Shots X5 CHARGE connect with led TV using Bluetooth? (needs to be tested) Yes, as long as you have the provision for Bluetooth connectivity in your TV, you can connect Shots X5 CHARGE to it. Does Shots X5 CHARGE have buttons to change and attend calls? Yes, Shots X5 comes with Multifunctional button to change songs and attend calls. To play or pause the songs, long press the left/right button. Long press the left button to switch to get to the previous song. Long press the right button to switch to get to the next song. What is the internal memory of Shots X5 CHARGE? Shots X5 CHARGE does not come with internal memory. Since the in-built MIC is inside the right earbud that is placed in your ear that’s why it’s advisable to speak a little loudly for your voice to be audible in any surrounding. Shots X5 CHARGE is best suited with Bluetooth v5.0, however, it also supports smartphones with Bluetooth v4.0 as well. It is waterproof or not? Noise Shots X5 CHARGE is IPX5 which means that it is sweat proof and can withstand occasional splash of water. Of the many mediums of enjoying music, earbuds is the most convenient way considering that we get the maximum audio output without any loss of the music. Keeping the high-demand in mind, market is flooded with different kinds of earbuds. And, the most popular one turned out to be CHARGE. Apart from ensuring complete freedom to the users due to its wireless nature it also lends a stylish look. As a result, Gonoise has launched Shots X5 CHARGE. Why should you choose Shots X5 CHARGE? Shots X5 CHARGE packs quite a bit in its compact size. With a powerful bass for amazing sound experience and heavy battery backup of 2200mAh battery to more than meet your daily music needs along with IPX 5 sweat proof design, it makes sure that there is nothing between your music and you. Equipped with Bluetooth version 5.0, compatibility with Android and iOS devices and multifunctional button on the earbuds, you can just sync your device and get ready for an amazing audio experience. 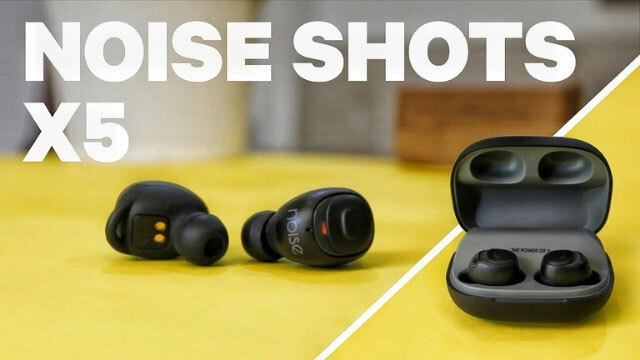 So, if you are looking for a complete package in terms of wireless earbuds in India then Noise Shots X5 CHARGE is your best bet. With Noise, you can simply place the order for a pair from the comfort of your home and get them delivered right at your doorstep without stepping out. Just pair it with your phone and enjoy the powerful music.